By Emily Gera on April 12th, 2015 at 3:00 pm. 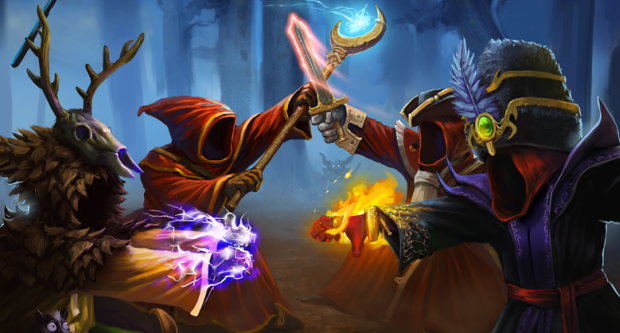 Good news, Magicka: Wizard Wars [official site] is finally being led out of the Siberian purgatory of beta and will go live on April 28. Here?s a friendly refresher for you: Wizard Wars is that free-to-play PvP game announced last year from Paradox Interactive. Coming along with the newly launched game are a couple of new additions, including maps and a new game mode, say its makers in a finely crafted press release. Several new features will be added to the Early Access version of the game over on Steam starting April 14. Paradox is calling this a ?sneak peek? of the perils that are coming at the end of the month. Will Star Wars: Rogue One Visit Tatooine?